FRANCKLIN (Franklin), MICHAEL, merchant, office-holder, colonial administrator, and Indian agent; b. 6 Dec. 1733 at Poole, England, second son of Michael Francklin and Edith Nicholson; m. 7 Feb. 1762 Susannah Boutineau in Boston, Massachusetts, and they had at least four children; d. 8 Nov. 1782 at Halifax, Nova Scotia. In the years prior to the American revolution Halifax was dominated by a merchant élite. Michael Francklin was a member of this group of merchant-politicians; involved in the major events of the period, he provides an excellent case study of how private and public goals were melded by these men. Any influential figure, particularly one with a strong personality, is bound to be controversial, and Francklin was no exception. In his own time he attracted ardent supporters and no less committed enemies. A similar phenomenon has occurred among historians. He has been labelled “pompous and arrogant” and “incompetent” by those who have not approved of his role in provincial affairs, while one of his defenders has described him as “a man of great personal magnetism combined with courage, integrity, energy, and independence.” Perhaps the most common view comes from the most respected chronicler of 18th-century Nova Scotia, John Bartlet Brebner*, who saw him as a “puppet” almost completely under the control of Joshua Mauger. Such a characterization is misleading, however, for although Francklin acted in concert with Mauger when his interests so compelled him, on other occasions he exasperated and infuriated Mauger and his followers. As the fourth child and second son, Francklin had little prospect of advancement in early life through parental aid. His father was able to provide contacts with relatives in London, however, and Francklin made a brief but abortive attempt to establish himself in the business world there. Before reaching age 18, he had made two trips to the new world, visiting Jamaica and assessing its mercantile prospects. Evidently he did not find them bright, for in the summer of 1752 he booked passage for Halifax on the Norfolk. At the time of Francklin’s arrival the leading merchant in Halifax was probably Joshua Mauger. Early in his career Mauger had been associated with Francklin’s relatives, perhaps even with his father. It is possible that Francklin emigrated at Mauger’s suggestion, and it is certain that the older man sponsored Francklin’s first Halifax enterprise, a dram-shop on George Street. Business was obviously successful, for Francklin soon opened a second establishment in partnership with Thomas Gray. Francklin, Jonathan Binney*, John Butler, Richard Codman, and John Anderson became the nucleus of a group which formed around Mauger in the 1750s. Building on their close personal and mercantile connections and financed chiefly by Mauger and Brook Watson* in London, they came to dominate Halifax trade almost totally by the mid 1760s. This mercantile élite recognized the potential of government connections to assist private enterprise. The advantages of a close relationship between men of business and the government were well known; politics in Britain was largely based on the principle that influential men should be attached to the government to increase its stability. There were, however, obvious disadvantages to this system. The interconnection of business and government meant that a potential source of political criticism was muted. Moreover, the merchant-politicians in Halifax tended to pass laws which benefited business but did little for other groups. 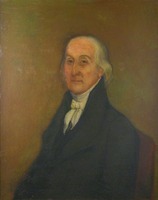 Francklin’s involvement in politics began in 1759, when he was elected to the House of Assembly to fill one of the first two seats for Lunenburg Township; in 1761–62 he served as a member for Halifax County. A promising young man, he was appointed to important committees. Few were surprised, therefore, when in May 1762 he was appointed to the Council, becoming its youngest member. He soon became identified with a faction opposing Lieutenant Governor Jonathan Belcher whose members included Joseph Gerrish and Charles Morris in the Council and Benjamin Gerrish and Malachy Salter in the assembly. On the surface, Francklin’s motives for joining this faction seem clear. The mercantile leaders of Halifax opposed Belcher partly because of his efforts to control illegal trade, a profitable enterprise for many, including Francklin. In addition, the lieutenant governor showed no inclination to grant Francklin’s almost constant petitions for land. Francklin was also peeved over Belcher’s refusal to grant him the monopoly of the Indian trade. The Council had approved his application in 1761, but Belcher denied it after evidence was produced that the application was fraudulent in several respects. In London, meanwhile, Mauger had conceived a special dislike for Belcher and was actively lobbying with the Board of Trade for his removal. By linking Mauger’s interests with his own, Francklin was consolidating his association with the Mauger group, an association which continued until the American revolution. Through the influence of Mauger, Francklin secured the post of lieutenant governor in March 1766. 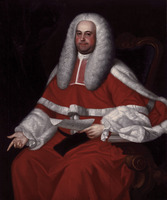 Since his mandamus did not reach Nova Scotia until 22 August, however, the treasurer, Benjamin Green, became administrator on the death of Governor Montagu Wilmot* in May. 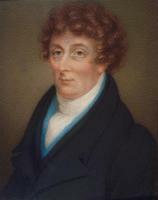 Francklin served as acting governor for three months until the arrival of Lord William Campbell. Because of Campbell’s frequent absences, he held the reins of government on three other occasions, from 1 Oct. 1767 to 10 Sept. 1768, from 4 Nov. to 4 Dec. 1768, and from 2 June to 10 July 1772. During his periods in power Francklin aroused considerable controversy. In 1766 he revived a project to mine coal for export in Cape Breton, banned eight years earlier by the Board of Trade, by simply assuming that the ban no longer existed. When it was discovered that he had not only exceeded his authority but given the licence to mine and export coal to Benjamin Gerrish and other business associates, protests arose from unhappy competitors, forcing the board in February 1768 to order that the “highly irregular” contract not be renewed. Similarly, in 1768, on the basis of ambiguous instructions from London, Francklin expended the entire Nova Scotia contingency fund on the establishment of townships and of government offices on St John’s (Prince Edward) Island and attempted to grant property to his land-hungry friends. Although his actions were probably not deliberate attempts to circumvent the will of the British government, they demonstrate again the tendency to equate private and public goals. Francklin found his proceedings “highly disapproved” by the king and was forced to travel to England to clear his name. The uproar needs to be put in its proper perspective. Colonial governors frequently exceeded their authority; in fact, every governor of Nova Scotia before Francklin had at some point been chastised by the Board of Trade for so doing. The practice of combining politics with profit was also common, particularly in colonies as poor as Nova Scotia, where governmental largesse assumed great importance. More virtuous citizens, or those with insufficient connections to take advantage of the spoils of office, might decry such occurrences, but generally only minor note was taken of them in Britain and Nova Scotia. 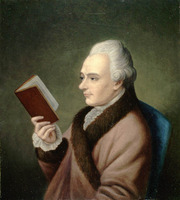 The merchant community generally retained its confidence in Francklin, but by the early 1770s his political opponents were becoming increasingly shrill. 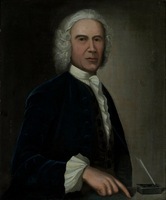 In 1774 Richard Gibbons revived charges that Francklin “and others connected with him” had provided “an unreasonable credit” to the settlers at Lunenburg during the 1750s. When these debt-ridden settlers could not repay their loans, Francklin “consented to take their [bounty] certificates [awarded for local improvements] in Discharge of their Debts . . . at Sixty per Cent discount.” Gibbons also charged that Francklin was “immediately dependant and other wise closely connected with” Mauger and that he had used his “Influence and that of his Party” to impoverish Nova Scotia. Although Francklin may have been guilty of usury, Gibbons missed the mark in intimating that he was Mauger’s puppet. In the 1750s, eager to rise and greatly dependent on Mauger’s patronage, Francklin seldom deviated from the lead set by the more powerful merchant. But after his appointment as lieutenant governor he pursued his own interests without Mauger’s sanction. The attempts to exploit St John’s Island, for example, were disapproved of by Mauger and embarrassed him when he was called upon to defend them before the Board of Trade. Also, in the early 1770s Francklin became involved in colonization schemes in which Mauger did not figure. By the time of Governor Francis Legge’s administration Francklin and Mauger once again seemed to be pursuing similar goals. Their motives, however, were not identical. Francklin opposed Legge not only because of instructions from Mauger but also because the governor, by showing a preference for other advisers, notably James Monk*, was challenging the source of his power. Still, Francklin remained an influential man, and his position as a leader of the anti-Legge forces during the protracted controversy surrounding the governor’s administration may have coloured Legge’s view of his financial difficulties. 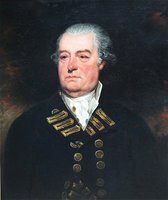 Relations between the two men reached such an impasse that Legge recommended to Lord Dartmouth, secretary of state for the American Colonies, that Francklin be stripped of his office or transferred from the colony. Although the claim that Francklin was the first to plan the governor’s demise is sheer speculation, his role in Legge’s recall was undeniably crucial. He had both the political resources and the motive to challenge Legge, and in his exploitation of the incidents surrounding his old business partner Binney he effectively capitalized on Legge’s ineptness. In the spring of 1776, however, after Legge’s recall to England, Francklin was replaced as lieutenant governor by Mariot Arbuthnot. His removal, combined with the governor’s recall, seems to have been an attempt by the Board of Trade to lessen controversy in Nova Scotia politics at a time of crisis. During the American revolution Francklin remained loyal to the crown. Unlike most merchants, however, he was not passive in his loyalty. In 1777 he was appointed superintendent of Indian affairs for the province, a position for which he was uniquely qualified. In 1754 he had been captured by a band of Micmacs and taken to the Gaspé. During his three months of captivity he learned their language and developed a respect for the Indian culture. Although he had varying luck throughout the war ensuring the adherence of the Micmacs and Malecites to the British cause, he was ultimately successful. Through a series of meetings, the judicious distribution of gifts, and the provision of the services of a missionary [see Joseph-Mathurin Bourg], he countered the efforts of John Allan* and other supporters of the Americans [see Pierre Tomah; Gilfred Studholme]. Characteristically, Francklin had refused to serve as superintendent until he was granted a fixed salary and provisions were made for his expenses. Francklin, who spoke French, was also influential among the Acadians. As lieutenant governor he had allowed those who had returned following the expulsion to settle around Minas Basin on terms far more generous than the Council had recommended. In addition, he permitted the unrestricted practice of the Roman Catholic religion and gave guarantees that there would not be a second deportation. Francklin was not specifically empowered to give these guarantees, but he managed to convince the Board of Trade that his policies were wise, and they were eventually ratified by that body. It is impossible to ascertain how many Acadians returned, but a 1771 census counted 1,249 persons in 274 families throughout the province. Francklin survived the hostilities of the American revolution, but he did not live to see the peace. On 8 Nov. 1782 he died at his town home in Halifax. An age was drawing to a close. The old Nova Scotia, dominated by a Halifax-based mercantile élite, was being transformed by the influx of thousands of loyalists; the distinctive community that Francklin had done so much to shape was being dramatically altered. If historians have been unable to reach a consensus about Michael Francklin, it is perhaps because they have failed to grasp the role that he played. He was in many ways a typical colonial merchant-politician, meshing private and public concerns in an age when such intermingling was widely accepted. It is therefore in terms of the success that he had in helping to build the foundations for Nova Scotia that he must be evaluated, not in terms of 20th-century morality superimposed on an earlier age. In these terms, Francklin must be considered one of the truly important founders of the province. PAC, MG 11, [CO 217], Nova Scotia A, 72; 77, p.59; 78, p.41; 81, pp.125, 129; 83, p.127; 88–93; [CO 220], Nova Scotia B, 14; MG 23, A1, ser.1, 2, no.1119; 13, nos.2494, 2496. PANS, RG 1, 136, p.114; 187, 16 March, 11 April 1754; 188, 26 March, 10 April, 15 May 1761, 3 May 1762, 25 July, 13 Nov. 1764; 189, 23 Aug. 1766. PRO, CO 217/19, f.130; 217/20, f.65; 217/45, f.7. Nova Scotia Chronicle and Weekly Advertiser (Halifax), 14 Nov. 1769. Nova-Scotia Gazette and the Weekly Chronicle (Halifax), 16 Nov. 1782. Directory of N.S. MLAs, 126–27. Brebner, Neutral Yankees. G. A. Rawlyk, Nova Scotia’s Massachusetts: a study of Massachusetts – Nova Scotia relations, 1630 to 1784 (Montreal and London, 1973), 234. W. B. Kerr, “The rise of Michael Francklin,” Dal. Rev., XIII (1933–34), 489–95. J. S. Macdonald, “Memoir, Lieut.-Governor Michael Francklin, 1752–1782,” N.S. Hist. Soc., Coll., XVI (1912), 7–40. L. R. Fischer, “FRANCKLIN, MICHAEL,” in Dictionary of Canadian Biography, vol. 4, University of Toronto/Université Laval, 2003–, accessed April 26, 2019, http://www.biographi.ca/en/bio/francklin_michael_4E.html.